When it comes to websites, the landing page is prime. It’s often the first encounter that web visitors have with a brand online. If the landing page doesn’t pique interest and capture attention immediately, visitors leave, which contributes to a high bounce rate. Visitors won’t continue to other pages, and businesses miss out on the opportunity to cultivate a relationship with and sell to those visitors. To improve conversions, more and more businesses are turning to LeadPages to create impactful landing pages that keep visitors interested. If you learn how to work with LeadPages, you can create a viable online business for yourself as a LeadPages Builder VBO. LeadPages is one of the top landing page builders for good reason. LeadPages is heralded because it’s easy to use. It also has a rich feature set. As a LeadPages VBO, you’ll help businesses achieve higher conversion rates by designing optimized landing pages. It involves creating content, developing graphics and organizing the layout. While it helps to have a fundamental understanding of web design, LeadPages has a user-friendly drop and drag builder that allows you to create landing pages without a sophisticated coding acumen. LeadPages has a gallery of more than 150 pre-designed, optimized and mobile-responsive templates so that you don’t have to start from scratch. 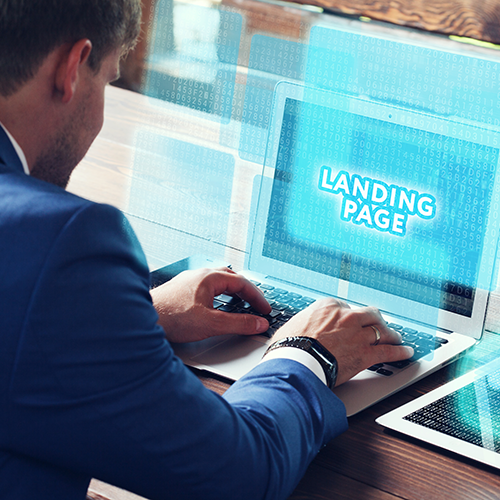 Beyond providing all of the tools to create your landing page, Leadpages also provides a free, comprehensive landing page guide that teaches you how to craft impactful landing pages from start to finish. It includes everything from from foundational strategy to content creation to page optimization, so you’ll know what to do every step of the way. There’s a wide client base as many businesses have poor landing pages. LeadPages provides a wealth of information to help you master the design platform. You don’t need to have advanced coding skills to work with LeadPages. To learn more about creating your VBO Niche - CLICK HERE! We provide some great resources to help you get up and running as a LeadPages Builder. If you have questions about becoming a LeadPages Builder, feel free to head over to our Groups and ask there! Set clear goals for the landing page based on client input and marketing outcomes. Customize templates according to the client’s brand guidelines. Write compelling, concise page copy that includes an impactful call to action. Create or source images to accompany landing page copy. Perform A/B or split tests to see what the intended audience responds to best. Our research shows the hourly rate charged by VBOs ranges from $30.00 to $100.00. However, the majority seemed to land in the $40.00 to $70.00 per hour range. Factors affecting this variance include geographic location, experience, and level of expertise. The Instapage blog is a great resource that provides landing page best practices to help you maximize your lead generation and online marketing efforts. The Landing Page School blog offers a variety of resources to help you build, test and optimize landing pages that have high conversion rates. They also offer an online course to teach builders how to design, test and optimize landing pages. The Unbounce blog shares expert advice on landing page design and conversion optimization. Subscribe to their newsletter to receive the latest conversion tips in your inbox. ConvertedU is a training platform by LeadPages that provides a range of classes from certified experts to help you start, run and grow your online business. Udemy is a great site for VBOs to sharpen their skills. Their classes typically range from $10.00 - $200.00. However, they are known to have frequent sales where with virtually all lessons as low as $10.00. Skillshare is an online learning community with classes in that are often helpful for VBOs focused design, business, tech, and more. Lynda has been around a long time and might just be one of the granddaddy's of online training. Pretty much all courses are well vetted and professionally done. While there courses may be a little more expensive, they are top quality. Since they were recently acquired by LinkedIn, some premium accounts get access to Lynda at no additional charge which is a great deal. Coursera offers courses from many of the top universities including Stanford, Duke, and Penn. As a result, their courses are similar to the instruction you’d receive in higher education. While the name implies that Copywriters just write, that couldn't be further from the truth. Copywriters do everything from research on current marketing trends, understanding client psychology, to finding quality stock images that complement their writing, and more. Unlike other writers such as novelists and journalists, Copywriters typically create copy for clients to promote their business. In the other tabs featuring Blogs and Courses, we provide some great resources to help you get up and running as a Copywriter. If you have questions about becoming a Copywriter VBO, feel free to head over to our Groups and ask there! As a copywriter, the research we did showed a range for the hourly rate from $45.00 to $105.00 per hour. The majority seemed to fall within the $55.00 - $85.00 per hour range. Factors affecting this variance include geographic location, experience, and level of expertise. Direct Creative's blog is designed to help copywriters be the best they can. It offers a ton of great information on copywriting, including tips and help articles. Success Works's blog provides powerful information on SEO-rich copywriting. It's easy to understand and great for beginners. Doris & Bertie's blog is a humorous take on copywriting for everyone. It's easy to follow and offers excellent writing tips.